I’m not crafty but . . . .
I’m the opposite of crafty, but I did grow up making paper snowflakes and loops of paper chains. All winter our house was covered in paper snowflakes. 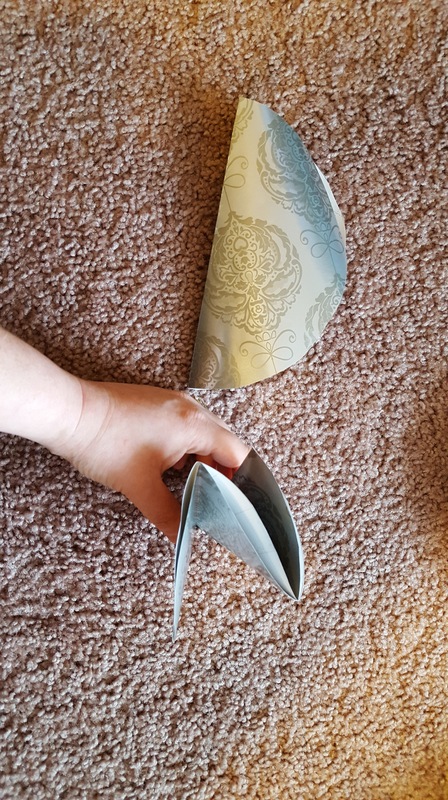 As a kid, we’d cut paper into a square, fold it diagonal, then fold it diagonal again, then start snipping. get some cute 4 sided symmetrical snowflakes, and some fugly ones. but wait, real snowflakes are 6 sided symmetry!! Six sided symmetry didn’t defeat me for the gearflakes I made, so it’s time to make some 6 sided symmetrical snowflakes. 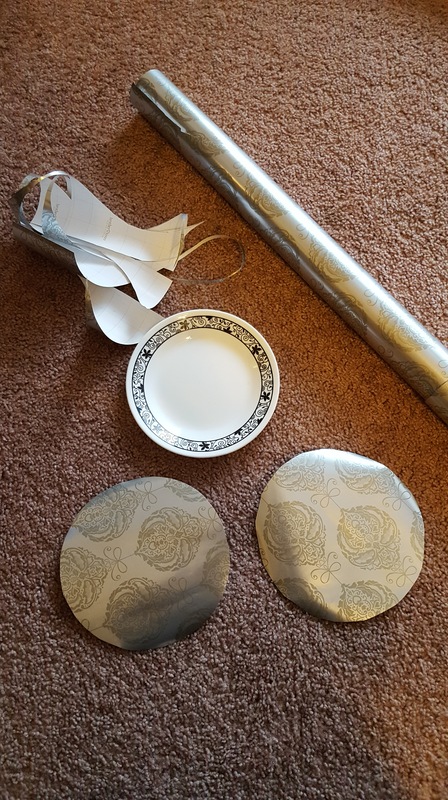 I used silvery wrapping paper cuz it’s shiny. I traced circles with a little plate, and cut them out. Then I made a taco out of the circles, and then folded the tacos into thirds. fold in half, then fold in thirds, that means now I have 6 wedges. that’s the end of the math required, I promise. The best reason to be excited for January! You ready for 2016 to be over? Because I am. I seriously, most definitely am more than ready for it to be New Years. Reason the first! I have a Vintage SciFi Month co-host! Jacob over at Red Star Reviews is my amazing co-host, and I can’t even tell you how thankful I am to have him on board. The last few January’s have been pretty hectic for me and I’ve barely been able to keep up with blogging. So to have a bloggy partner to help promote vintage-y goodness all throughout the webisphere is just amazing. Thank you Jacob, for being so excited for Vintage Month, thank you for everything. Reason the Second! The amazing Jacob also runs the @VintageSciFi_ twitter feed! If you’re on twitter, be sure to follow @VintageSciFi_ and tag it in your Vintage tweets! More huge thanks to Jacob for running the feed and RTing everyone’s vintage posts. hmmm… he’s good on other social media platforms too, think we can convince him to take over Instagram, Tumblr, and YouTube with Vintage-y goodness? Across the webosphere, this year’s Vintage Month will feature book reviews, video reviews, giveaways, resources for where to find vintage-y goodness, photos of book hauls, and more. And Jacob and I couldn’t do it without the bloggers, vloggers, and book reviewers who have participated in previous years and are joining this year. So Thank You for being amazing. Thank you for going back in time with us. The best thing about being a book blogger is all the amazing books I get to read! I didn’t read as many books in 2016 as I wanted to, but I sure picked some good ones to read. If I’ve given you good recommendations in the past, but you think you might have missed some, this list is a great reference of stuff I think you might like. If you’re new to my blog and are wondering what kind of books do it for me, this list is a great place to start. Wanna know the balm for doorstopper books and series that don’t have an end in sight? Super short stories that are super satisfying. Stories that get in, make a point and maybe make you laugh, and get out. It’s like those delicious bite-sized Milky Way mini candy bars that (the best) people give out at Halloween. 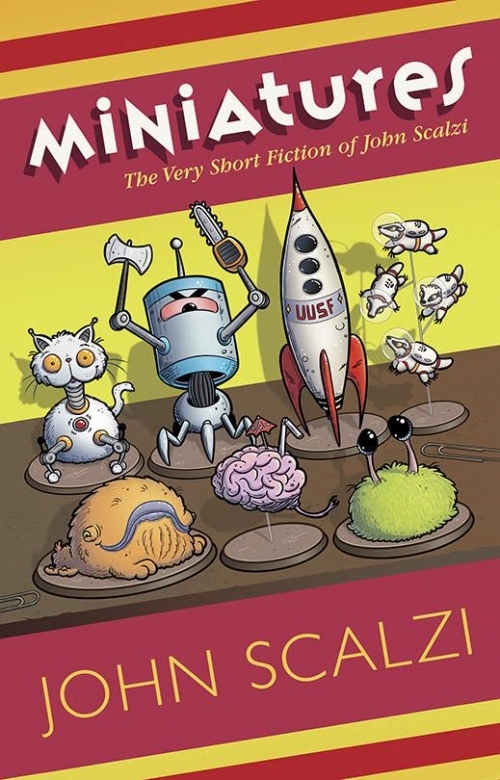 Miniatures is John Scalzi’s new collection of very short stories. Inspired by everything from travel boredom, the bureaucracy of superhero management, overly intelligent yogurt, a very bitter Pluto, the design limitations of twitter, people being idiots, how to be polite to aliens, having some fun at Wil Wheaton’s expense and more, these mostly humorous and mostly ultra short stories are the bite sized milky way minis of spec fiction. Covering 25 years of Scalzi’s long career in journalism, review writing, and fiction, this collection is a must-have for Scalzi fans. Oh, you’re not familiar with John Scalzi, but you like to laugh? You’ll like this too! A handful of the stories deal with interactions with aliens, but these aren’t “first contact” stories, not by a long shot. These are millionth contact stories, when interactions with aliens have become as commonplace as seeing a stick-figure family sticker on the back of a mini-van. Two of my favorite stories in the collection are of this variety – “New Directives for Employee-Manxtse Interactions” and “Important Holidays on Gronghu”. Both are presented as company wide memos, and both of these companies are about to be holding massive open interviews. I’ve read “Important Holidays on Gronghu” probably four times and it gets funnier every time. When Leviathan Wakes first came out, I just about forced my husband to read it. We were both starved for space adventure/space opera, and Holden and his crew felt a lot like our other favorite space adventure crew, that of Serenity. Hubs and I took turns devouring the books. I stalled out at book four, so much so that I wasn’t interested in continuing with the series. 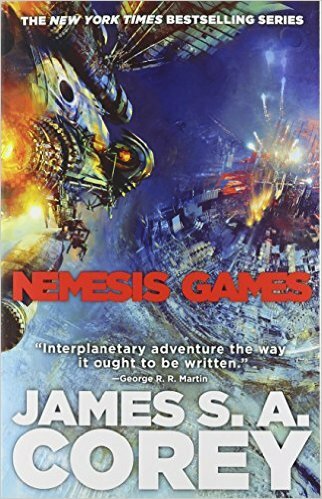 But my better half powered through to Nemesis Games, and promised that a) I would love it b) it was completely different than the previous books in the series, and c) It went some dark, dark places. He was right on all counts. I’ve always referred to James Holden and his crew as “James Holden and his crew” because Jim was always the star of every scene he was in. Amos and Alex and Naomi seemed to instinctively shrink back when Jim opened his mouth. It’s ok, he’s the protagonist, right? It’s a little like a Matthew McConaughey movie – did you even notice anyone else in that movie as soon as he shows up? No, you did not. When Naomi, Alex, and Amos are with Jim, they are, as my better half so accurately put it, “Jim’s appendages”. It’s an apt description. Ok, so who are these folks when Jim isn’t in the room getting all the attention? It’s a great question, and it’s exactly half the plot of Nemesis Games. The other half of the plot is the space opera politics, action, and wheels within wheels this series has delivered from page one. Warning: minor spoilers ahead! Back from Ilus, and uninterested in ever leaving the solar system again, Holden and crew have enough funds to get their beaten up ship fixed up and chill out for a while. Amos gets a call that a friend has died, so he rushes to Earth to pay his respects. Alex heads to Mars to look up his ex-wife and see if maybe they can’t patch things up. An Naomi gets a call afterwards which she refuses to tell Jim where she’s going and for weeks doesn’t answer his calls. This is where things get interesting. You, as the reader, think Jim Holden is a good guy, right? You, as the reader, assume Naomi, Alex, and Amos, by dint of association, are good guys, right? What do you think their childhood was like? What do you think their young adulthood was like? Holden, raised in a huge family, and given all the opportunities a child of Earth is given, assumes his friend’s lives were similar to his. He assumes this because he is privileged. He doesn’t want to know how different he really is from his best friends. It’s the atmospheric beauty of Sofia Samatar’s A Stanger in Olondria, combined with the dense verbal wordplay and visual magic of China Mieville’s Embassytown,and gilded with the lyrical poetry of a Catherynne Valente, Michael Cisco’s The Narrator is a very special book for a long list of reasons. He’s a student, he shouldn’t ever have been drafted. But drafted he got, and off he went to a war he knew nothing about in a place he never wanted to go. Why didn’t he just run, or hide, you ask? Because he fell under the view of a Edek, creatures who need a human handler to function in our societies. Once an Edek sees you, you will never be unseen. This novel is solid prose poetry and literary experimentation. That makes it sound uppity I know, but The Narrator is a surprisingly easy book to read for how dense it can feel. Every page is illuminated with metaphor and alliteration and grammar that shouldn’t work but it does and words that sent me to the dictionary, words like ambuloceti, velleity, clayx, and quiring. Choose any page, any paragraph, and you’ll find a miniature work of art surrounded by a million other miniature works of art. As a trained narrator, Low’s profession is part biographer, part translator, part bard. He speaks many languages, and knows the unique linguistic quirks of each. He has even been trained in the arcane arts of creating personal alphabets. He’s a scholar, not a soldier. This forced journey he is on will make him, or unmake him. Or perhaps a bit of both. On an almost Gene Wolfe Severian-esque journey to the muster site, Low finds himself on the death-worker side of the city and has a strange affair with a mysterious woman who has been accused of horrible crimes. Once he joins up with his unit, they end up at a mental institution / prison to recruit what functioning adults are left who can be made into soldiers. And then, into the war zone and towards an island with a mysterious interior that outsiders never return from. Every minute, Low wants to run. He wants no part of this war that makes no sense. This is a story of Low’s misery, of his coming to be comfortable with the inevitable. Jeff Vandermeer wrote the introduction to this edition of The Narrator, and it was through Vandermeer’s Shriek: An Afterword that I learned of the literary trick of describing the grotesque via the sublime while at the same time leaving seemingly important details purposely out away in the periphery. As a lover of metaphors and adjectives that are not known for working together, Vandermeer was and Cisco is speaking my language. 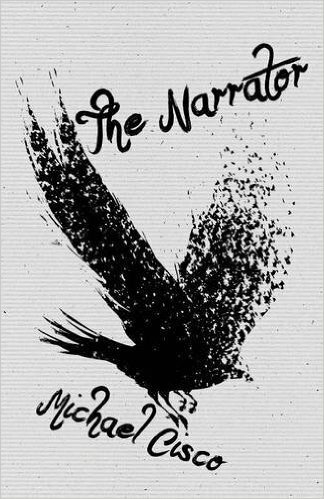 That is to say, if you like Vandermeer, you’ll really like Michael Cisco. 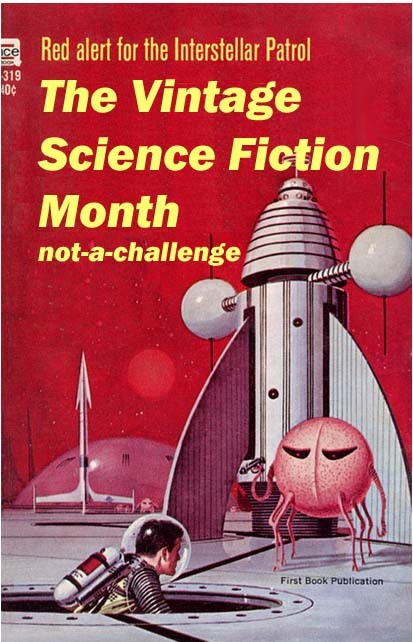 Countdown to Vintage Science Fiction Month! Ahh, January. The post-holiday slump, the pressure of News Years Resolutions, the local $10 a month gym is packed to the rafters. And let’s not even talk about how long it takes to unbury you car when it’s time to go to work. What’s so great about January, you say? 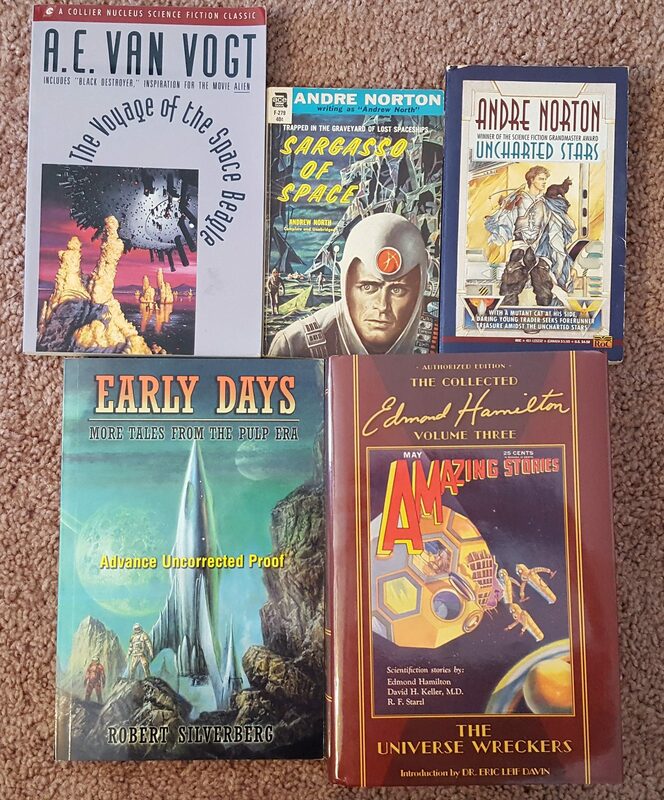 Not only is there 3 more minutes of daylight each day, but January is Vintage Science Fiction month! a few years ago (ok, more than a few! 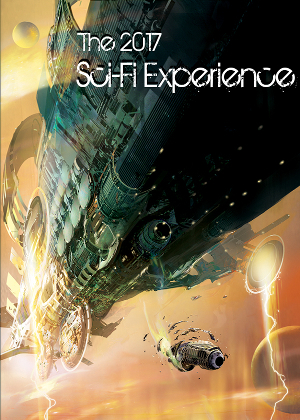 ), I started reading older than me science fiction every January as a way to get in touch with the roots of science fiction. Thanks to the blogosphere, book vloggers, twitter, and other social media, Vintage Month has become an actual thing! If you’re interested in the history of Vintage Month, click on the Vintage SciFi tab up at the top of my blog or type “Vintage” in the side bar search thingy. Ok, so Vintage Month. The idea is to read (or watch or listen to) anything scifi / fantasy / spec fic / fantastika from 1979 or earlier. You can read a book, listen to an audio book, watch old movies or TV shows. Then talk about it online. Or comment on someone else’s post online. Don’t have time to experience something Vintage-y in January? That’s OK too. If you comment on someone else’s Vintage post, guess what? You’re a participant in Vintage Month. Why 1979 you ask? It’s the year I was born. Are you on twitter? Feel free to follow VintageSciFi_ , which is run by the amazing RedStarReviews. Use the hashtag #VintageSciFi or #VintageSciFiMonth. If you’re on Instagram or Pinterest, those tags work there too. Due to some day-jobbery projects that are scheduled to hit in January, my Vintage dabblings may be less than usual. That’s OK, because Vintage Month is in good hands! Your hands! Voyage of the Space Beagle by A.E. Van Vogt – this is a “fix up” novel that was published in 1950. A “fix-up” is when an author takes a bunch of somewhat related short stories and literally fixes them up into a (mostly) functioning novels. Not all fix ups were a success. To be honest, I’m most interested in this Vogt because it includes a version of the 1939 short story “Black Destroyer”. That short story is credited with having started the Golden Age of Science Fiction and it was the inspiration for the movie “Alien”, one of my favorite movies of all time. Andre Norton’s Sargasso of Space and Uncharted Stars – Sargasso just looks hella fun, and Uncharted Stars is a sort of sequel to The Zero Stone, which is my all time favorite Norton. Early Days, by Robert Silverberg -This is actually a brand new publication from Subterranean Press. It contains over a dozen now impossible to find Silverberg short stories that were published in the 1950s, along with story notes and commentary. An issue I’ve found with Vintage stuff, is because I’m not familiar with the context in which these stories were written, I have trouble connecting with the subtleties. I’m looking forward to the commentaries and story notes in this book, so that I can delve deeper into the context. Scifi + history = Andrea is a happy camper. And last but so very not least, is The Universe Wreckers, an Edmond Hamilton volume of his pulp short stories, and let me just tell you, the photo doesn’t do this book justice. A three volume set gifted to me by someone very special to me, The Collected Edmond Hamilton is all of this prolific author’s prose works. It’s from Haffner Press, which means it’s a beautifully produced collector’s item. Since receiving these as a gift, I’ve been intimidated by them. It’s like that Sub Press numbered edition you bought as a gift to yourself, and now you’re afraid to take it out of the plastic? Yeah, like that. So, here’s to getting over being intimidated by beautiful bindings! This volume has 10 short stories, letters to the editor, and correspondence between Hamilton and his magazine editors. That means more historical context for me, YAY!! Also, if his name sounds familiar, it’s because he was married to Leigh Brackett. Well, that’s enough rambling from me. What Vintage-y stuff are you excited to read in January?